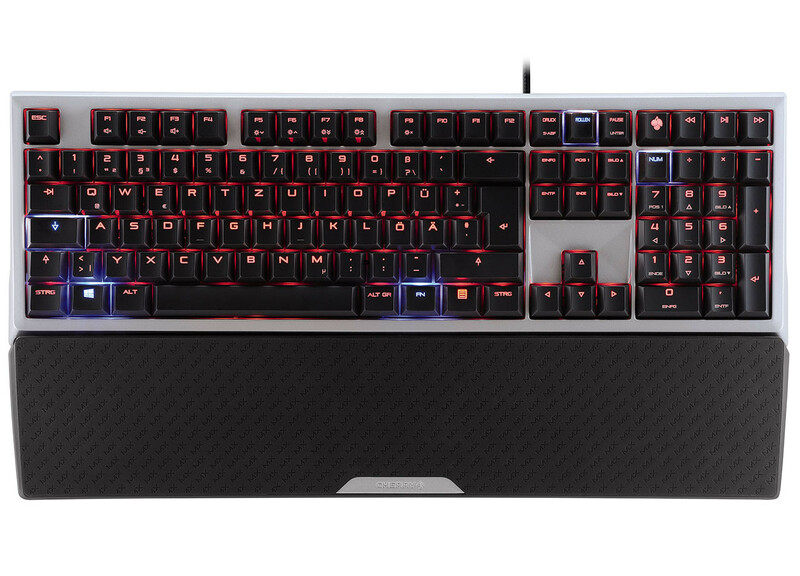 CHERRY, specialist in computer input devices, is presenting the MX Board 6.0, the world's most responsive performance keyboard for enthusiasts. The keyboard combines the latest RealKey-technology for analog signal processing with the proven and precise MX-switches for uncompromised performance. With this flagship model, CHERRY aims for an absolute puristic design of the highest quality. With its RealKey-technology, the MX Board 6.0 achieves unmatched performance. Thanks to an analogue signal path, all buttons are connected directly to the controller, so there is no need for digital scanning of the switching points. The MX Board 6.0 can rapidly transmit signals to the PC in less than a millisecond and is ideally suited for situations where response time is crucial. In contrast, conventional mechanical keyboards works much slower and need around 20 milliseconds because of their signal conversion. More so, RK-technology allows for a full N-key rollover and 100 percent reliable anti-ghosting. CHERRY ensures that all keys can be read simultaneously, actively preventing any erroneous interpretation of the signal inputs. The MX Board 6.0 has been fully equipped with its own, German engineered, high-quality gold-crosspoint switches, which have a lifespan of more than 50 million operations, allowing CHERRY to guarantee the highest precision when triggered. 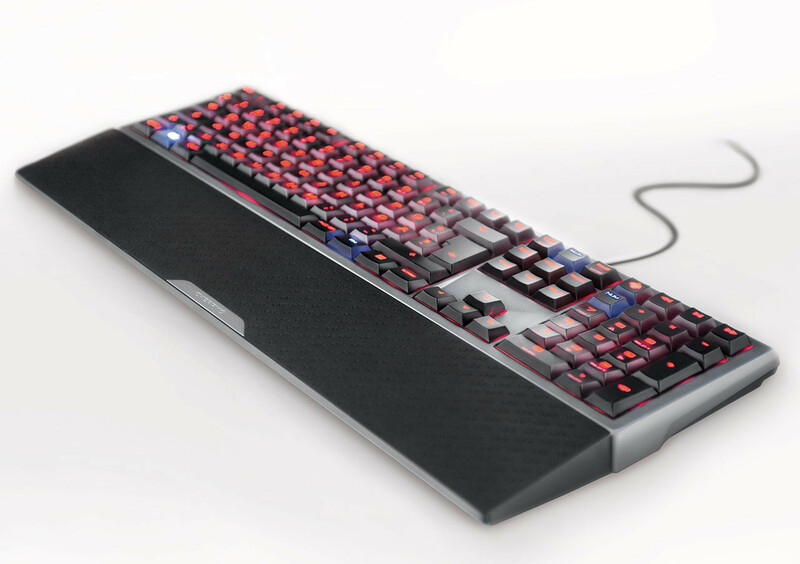 The new performance keyboard utilizes red switches, which operate without tactile feedback and minimal resistance. The linear actuation force is 45 centinewton. Each switch is also equipped with a red LED. This gives the MX Board 6.0 an even backlight with brightness control. The matching laser-engraved keycaps are optimized to achieve perfect illumination. CHERRY has accomplished this by using higher key caps, like with the G80-3000. With this change, unwanted illumination of the key gaps are eliminated. In order to make long-term use more comfortable, users can attach an included rubberized palm rest. Its easy handling is guaranteed thanks to a sophisticated mounting magnet system, allowing the palm rest to quickly be removed for cleaning or stowing. 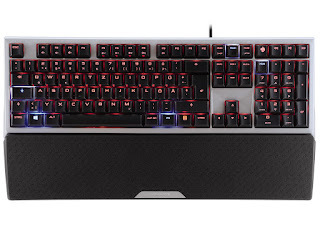 CHERRY is catering to enthusiasts with the configurable Windows key, bi-color status keys and twelve function keys that can be assigned with two different functions. Despite its eye-catching backlight, the MX Board 6.0 features a basic and puristic design. CHERRY has chosen for a high-quality 454 x 147 x 24,8 mm housing. The upper side is made of aluminum with a sanded finish; a grease-repellent coating ensures high resistance against everyday influences. The high quality of the keyboard is complemented by its textile braided, two-meter long USB-cable. CHERRY offers this new responsive, high-end keyboard for the performance segment at a suggested retail price of €189. The MX Board 6.0 is commercially available as of now.